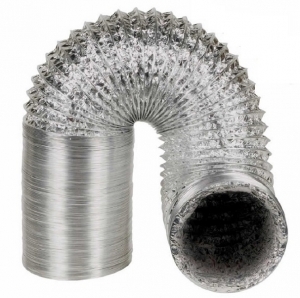 Flexible Ducting 250mm which is non-insulated and is made from strong aluminium foil and spiral steel construction. This ducting comes in a convenient to use 10 metre length roll in a cardboard box. This ducting is easy to cut to length and is suitable for a wide variety of uses where flexible ducting is required for heating and ventilation purposes.